Itglobalsolution.com provides advanced version of XML conversion services to our clients to their readerships with extraordinary flexibility and scalability. We are specialized in XML conversion of digital content, books, magazines, manuals, journals, manuscripts and other documents. Our XML conversion team ensures that the digitized work that you get is error-free and quality rich so that it can be published across various digital platforms. At itglobalsolution.com we initiated the XML workflows development for simultaneous production of better and superior quality matter through various mediums. We have catered to hundreds of demands using innovative technologies in digital publishing which has helped us to gain a good amount of experience in this. Besides, our clients have gained on production efficiency and operational costs through the use our innovative methods. We are now in a position as we perfectly understand the match of technologies with issues involving managing of complex digital content within advanced XML workflows. Our staff members have a very good experience in working with a broad range of standard applications including LaTeX, QuarkXPress, InDesign, 3B2, and FrameMaker, and in integrating these within end to end XML based production processes. For various types of books and journals, we use XML workflows that are absolutely optimized for quick and quality delivery. We are equipped to deliver the journals in just four hours with high quality using our Advanced Print Publisher (APP) and InDesign. With the help of our range of in-house tools, such as MacXIN, which helps with InDesign pagination, we ensure that the type testing process is handled very effectively. We use XML-IS or the XML-First workflow based on the customer’s preference and type/nature of content given to us. Where ever possible, we use the XML-IS workflow since the corrections are made in the pagination file and all PDFs author-review proofs, ahead-of-print online Web PDFs, and final-print files are generated from the application file itself. We have prepared our templates our pre-editing tool, MacEditPro such that we can use the XML-IS workflow for all the journals we work on and also on many of other books without giving up on the quality part of the XML. To check the quality of the XML each time it is exported from the application, we have an in-house validation tool. Corrections are first made in the XML-First workflow and the updated XMML file is used to produce the pages. 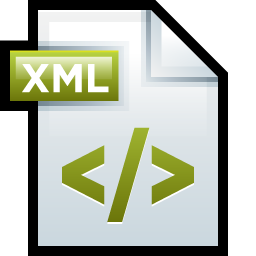 XML is considered to be the source and it is used for all updates to the content. Non-XML Workflows. We have the ability to adopt of any type of workflows required by your demands as we have done all this earlier to various. Apart from setting up a well-prepared process to deliver the content with the help of these advanced workflows, we have also developed particular applications that continuously evaluate the content there by improving the quality of the end product. We provide Document Type Definition and Schema development services to our clients. We cater to needs of both paper and e publishing media. From studying the project requirements to developing, refining, and documenting the DTD or schema, we will produce a very well made end product. We have plenty of experience in working with all kinds of pagination demands. Be it quick and cost effective XML workflow deliverable for academic books or database-driven typesetting for an encyclopedia, customers can expect our experienced staff to meet and exceed all your expectations. Our experienced staff are also well equipped to speed up the production process in case of any urgent needs and reduce the turnaround deliverable to as less as possible from our regular 1 to 2 weeks. We also provide ultra fast service where we process and deliver journals in just a few hours based on the need of the customers. We are equipped to working on two major collaborative workflow platforms, K4 and Woodwing which use a centralized online system to enable each part of the pre-production process to take place simultaneously. Also, this greatly decreases any margin for human error by providing a better version-control mechanism and also helps speeden up working process. Our skilled and experienced manpower is hands on with all major pagination software, including InDesign, APP, Quark, TEX, LaTeX and FrameMaker. The software is selected by us based on the projects requirements or the publisher’s preference. Also, a suite of in-house tools helps paginators deliver a higher-quality end product within the stipulated time. We have always placed a premium on technology and our strong team of people testifies to that. The job of converting the present subject matter of any type into structured information standard needs a very high degree of accuracy. While these are the attributes that are a trademark of our services, customers also benefit on cost and deliverable time. By enabling reuse, XML significantly enhances the value of the content setting the stage for single-source publishing, more efficient information delivery systems and faster adoption of emerging XML vocabularies such as S1000D, SPL, XBRL and DITA. Call us now at (515) 865-4591 for all your XML conversion services need.